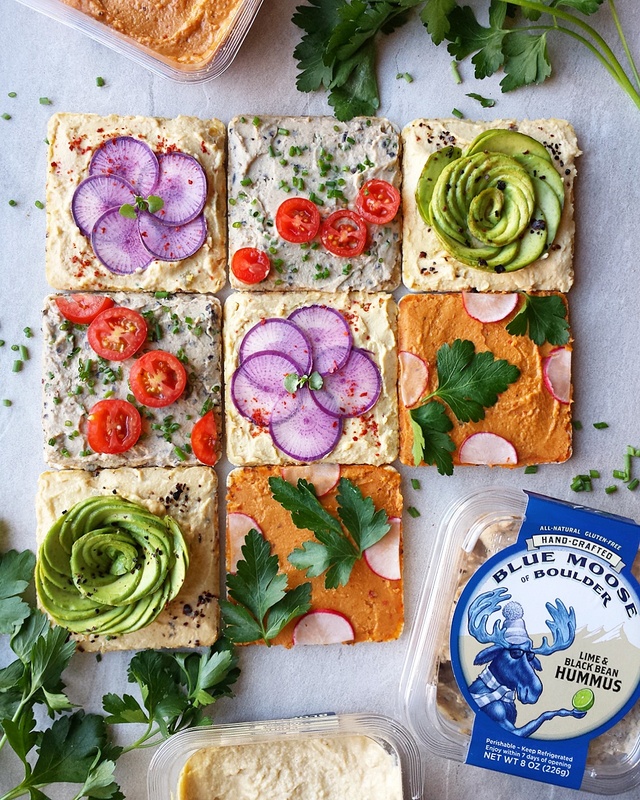 Eating the same old hummus day in and out can get boring real fast - that's why we are always excited to try new, fun ways to eat our favorite healthy spread. This recipe uses rice cakes as the 'toast' which means not only is it vegan, but it is also gluten free. We don't know about you - but we'll definitely be making a bunch of these for our next gathering. Be sure to check out the giveaway we're running with our friends at Blue Moose of Boulder! 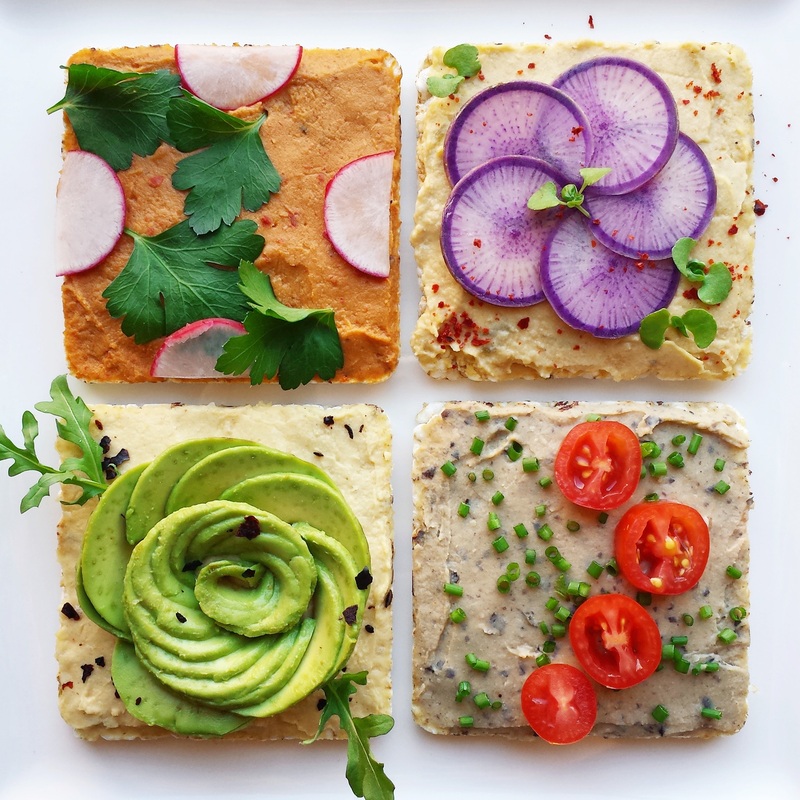 Spread the hummus on rice cakes. Top with a variety of toppings of choice.